This week we’re taking a break from travel and photography and concentrating on another of my varied areas of interest — firearms. We’ll begin with a rather rare bird, a new Colt MK IV Series 70. The example you see here is in stainless steel. But first a history lesson on the Colt “Government Model” M1911 Series 70 versus the Series 80, and the controversy surrounding the latter. To be brutally frank about it, the split barrel “collet” bushing was a bit of a disaster. 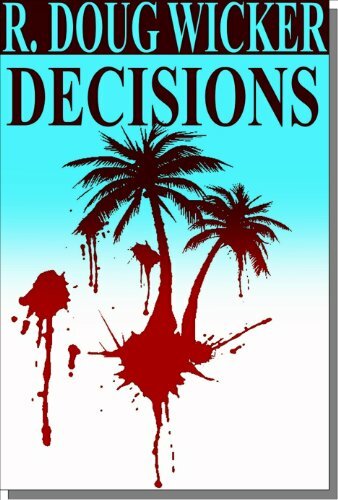 The fingers had a tendency to break off and jam the pistol. So, by 1988 the split barrel bushing gave way to a return to the solid bushing in later iterations of the Colt M1911 line. Colt ended the MK IV Series 70 in 1983 with the introduction of the Series 80. 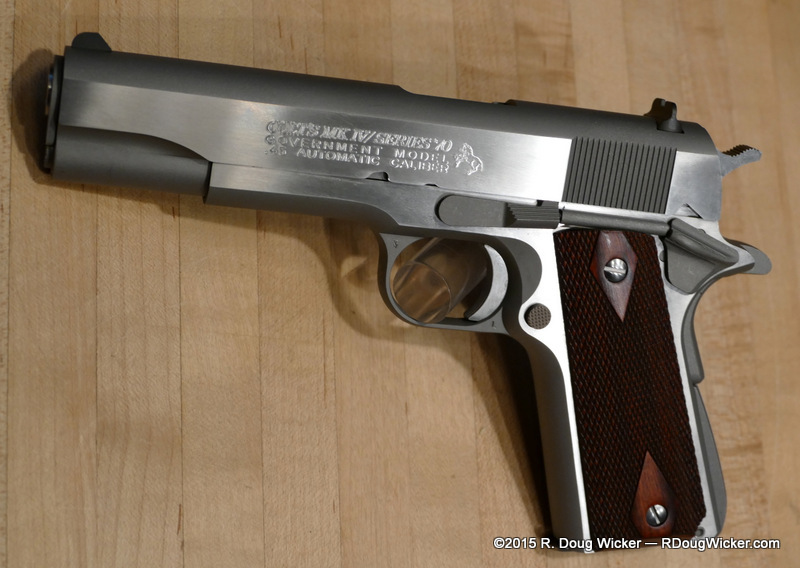 This M1911 initially retained the split barrel bushing, but it incorporated a new feature hated by M1911 purists. It is theoretically possible that if a cocked-and-locked M1911 is dropped onto a hard surface in such a way that the muzzle strikes first, the free-floating firing pin may have enough inertia to overcome the tension of the firing pin spring and thus impact the bullet primer. This could produce an unintended discharge. 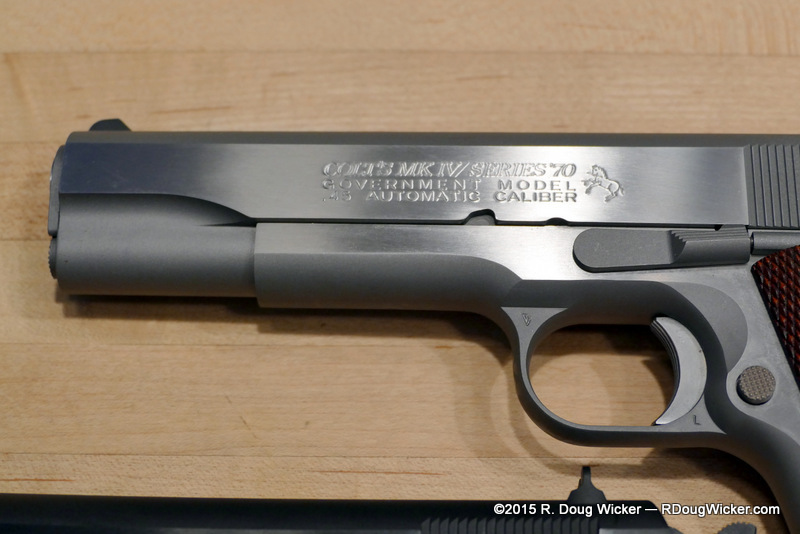 Colt addressed this concern in 1983 by redesigning the firing system to incorporate a firing pin block. The firing pin block is disengaged by the trigger mechanism as the trigger is pulled. 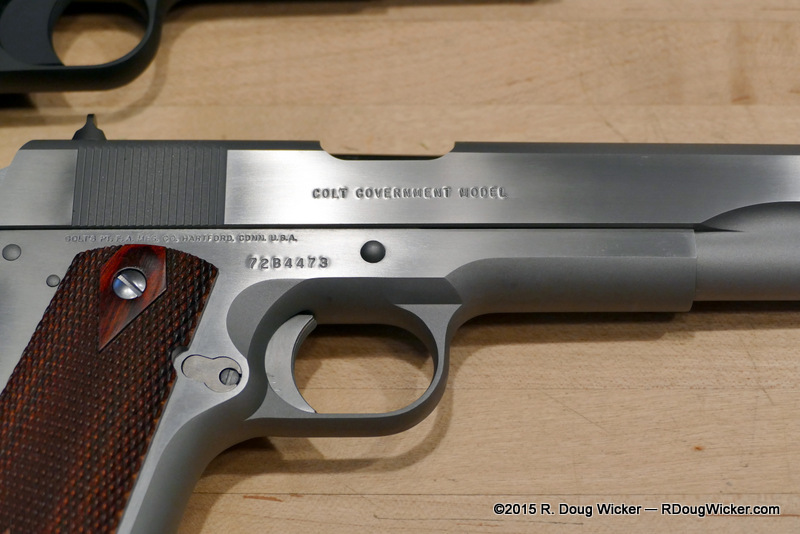 So, why the controversy among 1911 purists? After all, isn’t increased firearm safety a good thing? Apparently, not if it adversely impacts a great single-action trigger . . . or even if it’s merely imagined to do so. Many claim that this trigger-deactivated firing pin block increased trigger weight and friction. I’ll be testing this claim on Wednesday with a video of a test I performed that pits the MK IV Series 70 pictured here up against a Colt M1991A1 with the so-called Series 80 trigger. 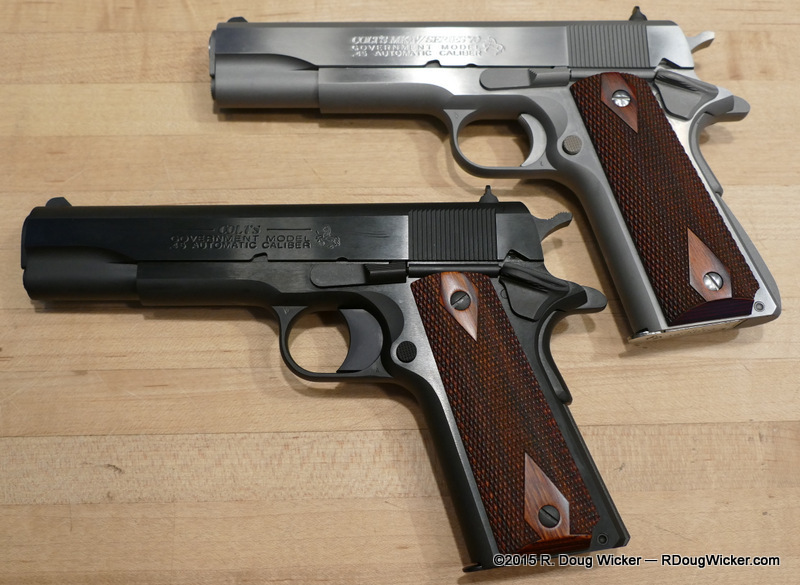 Not in the video but outlined in the text on Wednesday are additional comparisons I performed with a stainless Colt M1991A1 chambered in .38 Super and another .45 ACP Colt M1991A1 identical to the one used in the video. I believe you’ll find the results most enlightening, and I’m sure very controversial among M1911 purists. By now you’re asking, how the heck did Series 70 come to mean a trigger that dates from 1911 to 1983, while Series 80 describes the trigger system with a firing pin block incorporated in 1983? Good question, since the Series 70 was so designated not because of the trigger system, but rather because of the split barrel “collet” bushing — a bushing that continued on in the Series 80 pistol for some five years. The answer is convenience. It’s just easier to differentiate between the original internal trigger design of the M1911 to the later firing pin block design by referring to the two designs as “Series 70” and “Series 80” firing systems. 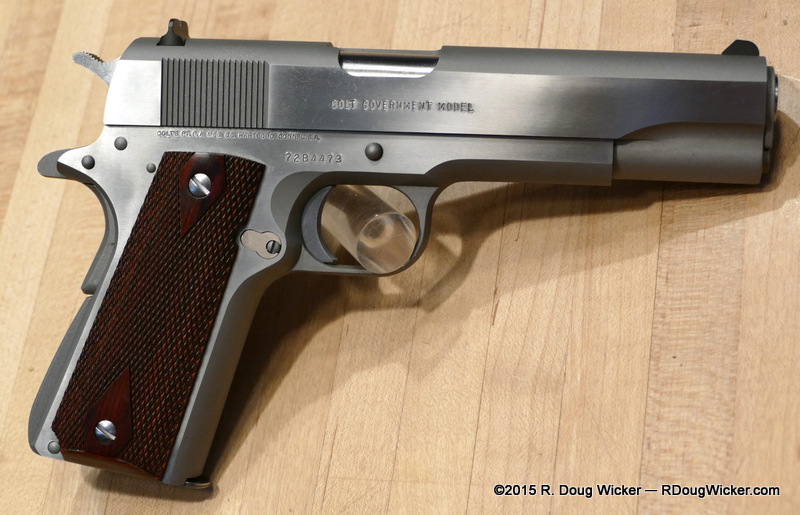 Around the turn of the century it began to dawn on Colt that M1911 purists were leaving the fold for competing M1911s produced without the “trigger degrading” Series 80 firing pin block. 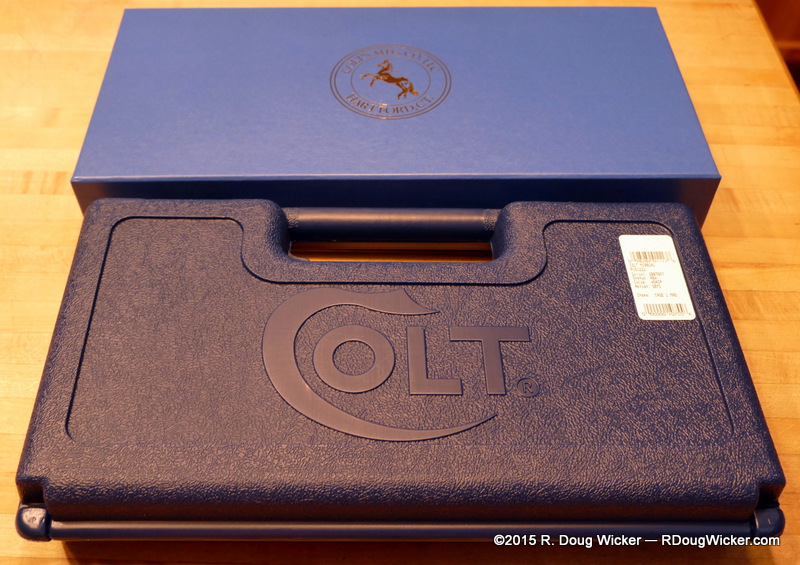 This resulted in Colt reintroducing a “MK IV Series 70” that really isn’t much like the one produced from 1970 to 1983. For one thing, there was no return to the split barrel bushing. 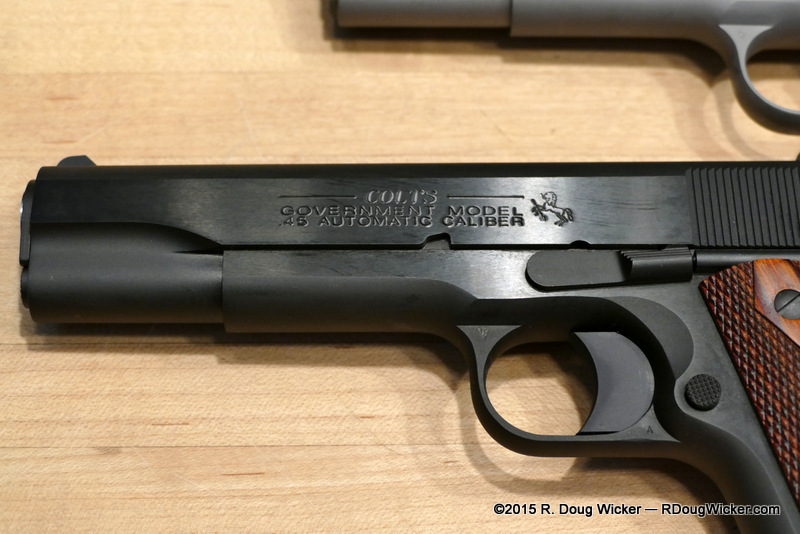 The Series 80 slide and frame were also retained, even if the firing pin block was removed. 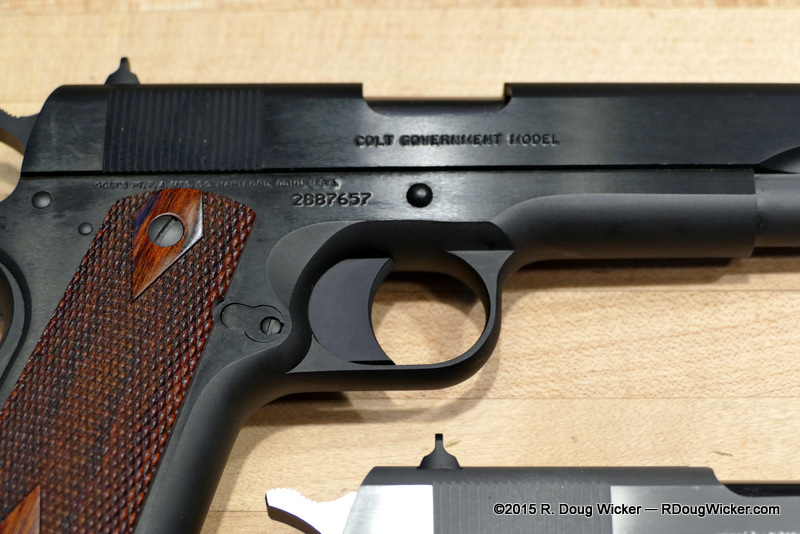 Of interest to some may be the fact that Colt continues to use in the reintroduced Series 70 the internals of the Series 80. That means the shelved hammer pictured above is still used rather than the earlier notched hammer. 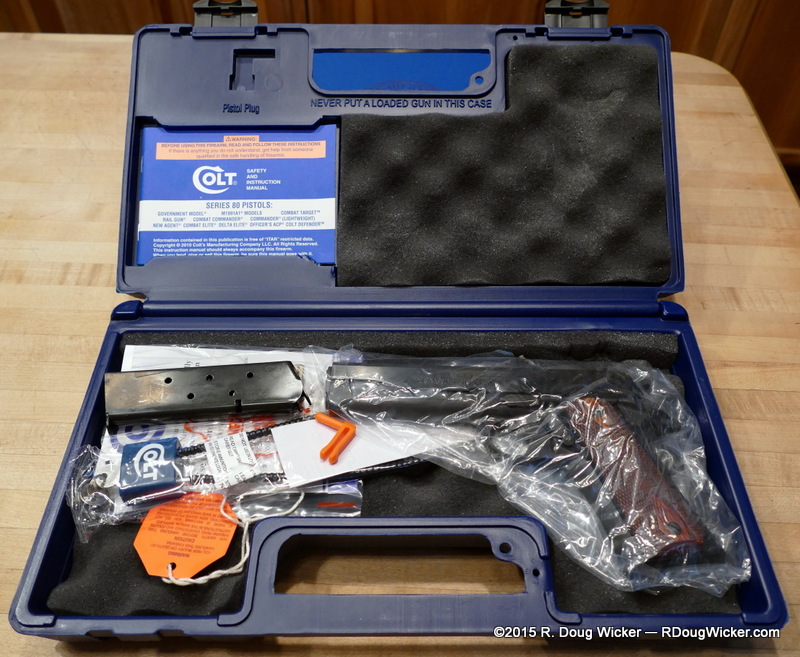 What Colt is giving you with the new MK IV Series 70 is in fact a Series 80 pistol with Series 80 trigger system parts, only without the actual firing pin block. This removes from the trigger-feel equation the internal movement that disengages the firing pin block. Well, there is one other difference. The new MK IV Series 70 is produced in very limited runs in the Colt Custom Shop. That means if you find one, you’re laying your hands fairly rare pistol. 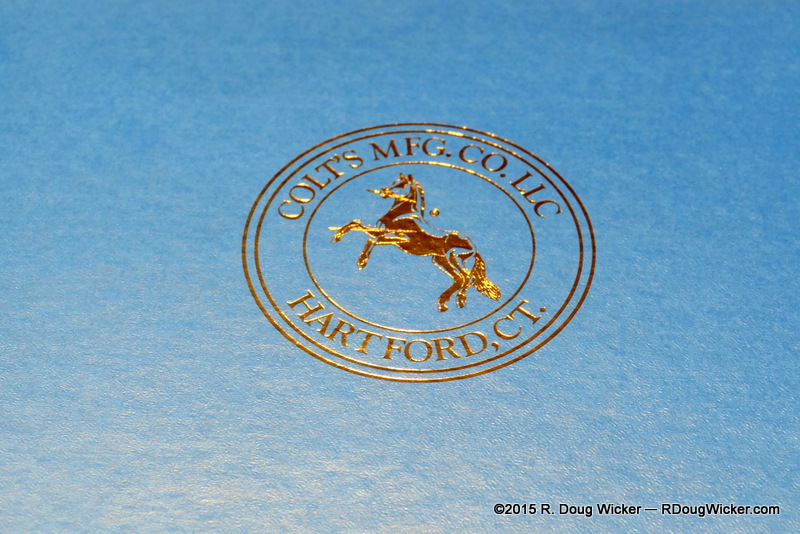 My source puts the annual production numbers of Colt Custom Shop MK IV Series 70s at between 500 and 1,000. 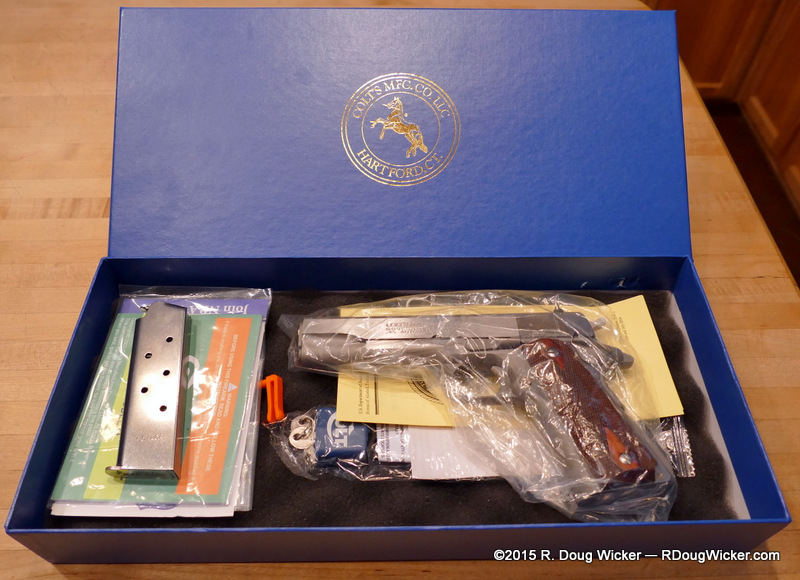 Additionally, as these pistols originate from the Custom Shop, they ship in the famous blue “Colt Custom Shop” box, which alone is worth probably north of a hundred bucks. Now let’s compare a MK IV Series 70 to an M1991A1 Series 80. Externally they appear much the same. Both are roll marked as “Government Models”. Both have nicely checkered rosewood grips. Finish is equally nice on these two examples, and slide-to-frame fit is exceedingly tight, as is the barrel-to-bushing fit. These are very tight pistols which I personally would not hesitate to put up against pistols costing two and three times as much. The most obvious are the sights. 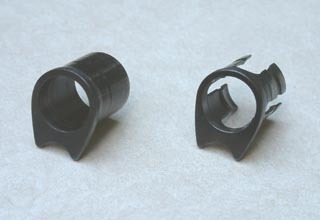 Both pistols come equipped with High-Profile sights, but the M1991A1 sights use the three-dot system while the MK IV Series 70 is absent any such visual cue. Less obvious is the trigger placement. The aluminum M1991A1 trigger is a longish affair protruding almost half way across the span inside the trigger guard. The stainless MK IV Series 70 is much shorter in length. Least obvious of all is the backstrap below the grip safety. 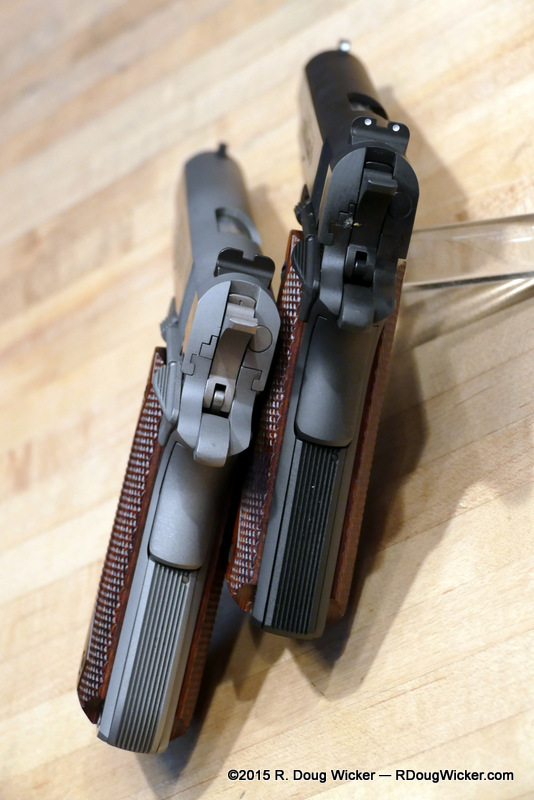 Both backstraps are grooved in this area, but the M1991A1 backstrap is straight while the MK IV Series 70 backstrap has a slight curve. 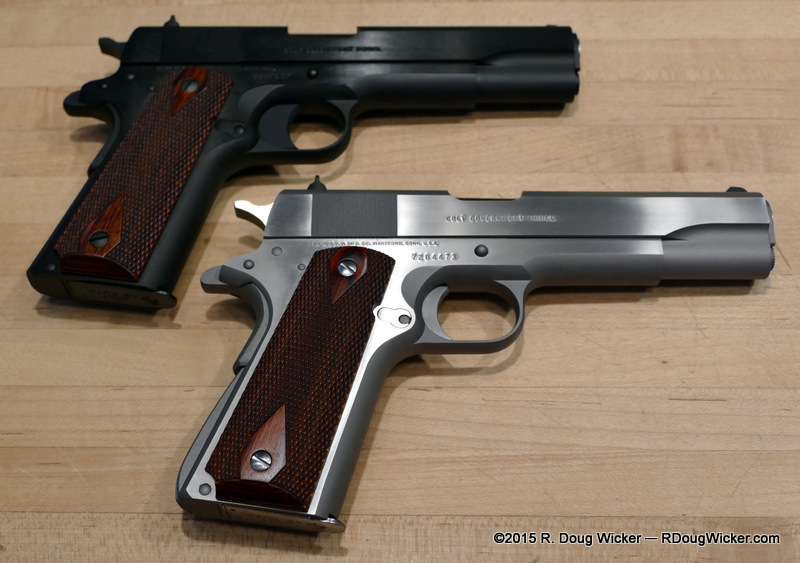 On Wednesday we’ll test conventional wisdom and put the Series 70 trigger to the test against the Series 80. Have you ever seen a broken collet bushing on one of the 70 series Colts? I personally have not, John. My understanding is that this is a sporadic problem associated with too tight a clearance in some weapons. Reportedly, the collet fingers can (and have) break when the collet fingers lack sufficient room to open. This can happen when there is a collet that’s too wide on the outside diameter, the barrel is slightly oversized, or the slide opening is too small. If any of these three things happen, the fingers on the collet flex instead of open. The strain of flexing causes the fingers to break off, and when it does that jams the slide potentially rendering the gun temporarily unusable.